Apparently more and more Americans are switching to scooters and light motorcycles these days. 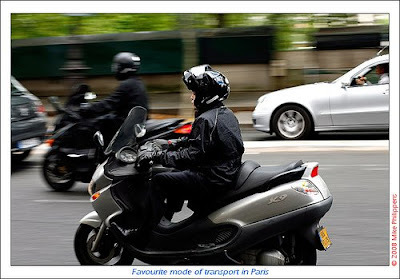 In the bigger cities scooter riders can be easily spotted making their way through traffic both cheaper and faster. I’ve been riding a scooter for half a year now and I must say I feel reborn. I can’t even fathom how I didn’t make the switch to one of these vehicles sooner. I’ve experienced something similar to a religious epiphany and I’m intent on promoting my recent new revelation to the masses. No more traffic, no more wasted time and no more frustration from spending a couple of hours on a distance that should be covered in 20 minutes. If scooters and motorcycles didn’t have enough going for them already high gasoline prices definitely gave these vehicles another attractiveness boost which quickly translated to sales which hopefully results in more eye opening experiences happy new scooter riders. 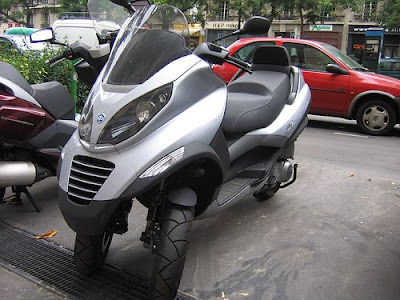 According to Reuters, “Piaggio” scooter sales went up 105% in May and 147% in June. “Piago” executive points out American city dwellers are definitely embracing this clean, fuel and time efficient means of transportation. Reuters also reports total scooter sales are up by 65% for the first half of 2008. The US has traditionally lagged behind Europe and certainly behind Asia when it comes to scooters. The enormous distances and motorcycling tradition in the USA have certainly played a key role in the relative weakness of the scooter market. 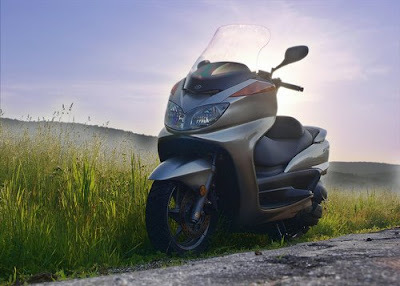 However, it seems increasing gasoline prices have tipped the equation in favor of the urban scooter which has everything going for it. Scooter prices are a laugh compared to the average car ranging from $1,800 to $7,000. The old traditional image of the scooter, a faltering and noisy little motorized bicycle couldn’t be further from the truth. Leading scooter manufacturers have created new super-scooters which at times easily overshadow motorcycles. Cheap and reliable means of transportation that helps avoid yet another pricey car loan saving thousands of dollars easily. Very efficient mpg ratio at 70-90 mpg quickly translates to $10 for a week of city riding saving hundreds of dollars a month. Environmentally friendly due to very high fuel efficiency contributing some more to the global effort. Parking is a breeze translating to hundreds of dollars saved on a yearly basis. Traffic and gridlock are foreign to scooters easily cruising between jammed packed roads. Usually limited to the urban environment easily solved by keeping one car for long distance travels only. Far riskier than driving a car obviously and requires attention, skill and maturity. Insurance premiums are accordingly high but are nowhere near your total saving potential. From my short experience I believe replacing a car with a scooter results in saving literally thousands of dollars with a much higher potential depending on the car you drive and the mpg you get. If you’re looking to make a serious change in both lifestyle and personal finance considering the switch to a scooter is one of the best opportunities you have available. Shortcuts to Early Retirement – Absurd Frugal Thinking or Common Financial Sense? « Would You Be Willing To Pay 60% Tax For a Higher Level of Social Equality?